Fat loss - this is a tabata style of exercise (20 seconds of work followed by 10 seconds of rest) which is notorious for fat loss in minimal time. Gain lean muscle mass- if you want to age slower you must increase lean muscle mass which will: help rev your metabolism so you burn more calories even at rest, give you a toned look, and provide functional strength to perform life's daily tasks. It's FUN - Ever worked out in a way that bored you to tears? Fit Chix Groove™ won't! I like to call it interval training with a sassy flair. The dance elements make the time just fly by. It's only 15 minutes - Seriously, it goes by so fast because you're having too much fun following along...it's kind of sad when it's over! Live and archived classes - Get the experience of 2 live classes a week or enjoy the archived classes. Either way, you'll love your results. Private community - enjoy support, challenges and live workouts in our private FB group. LIIT - Low Impact Interval Training with a Sassy Flair! 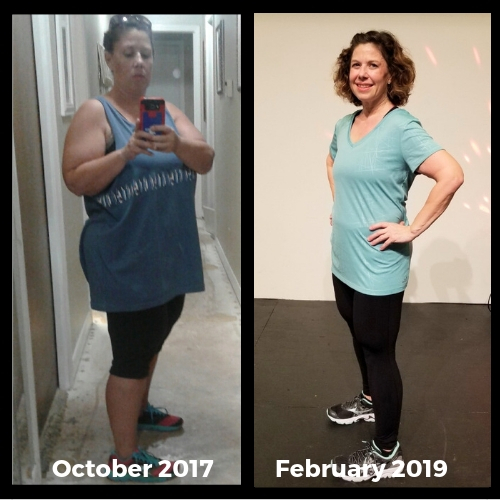 "I have to say, what I have loved so far is that with me being a busy mom, working FT, finding time to get a workout in was draining. With Fit Chix Groove I feel accomplished putting in the 15 min! At first I didn’t really think I would feel a ton—guys I was so sore in my legs and abs after 2 workouts! I came home from work bf my LO got off the bus, didn’t even change into workout clothes and did a session. (Why not right) I love love love the fact that I can squeeze in the workouts in between my busy schedule! I’ve been telling all of my gal pals about it!" The perfect combination of being easy on your joints, while burning fat for 24 hours post workout! 15 minutes of strength building throughout the body plus a sassy flair of dance moves! Can it get any better?!? 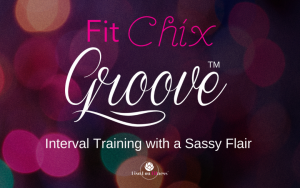 Live Fit Chix Groove On Demand workouts on Tuesday and Thursday at 6:30 PM CST or watch the replay on our website! You will also have access to our library of dozens of Interval Training & Yoga videos! Strength, Groove, and Sass All in One! Sassy, fun, effective and quick. 15 minutes from beginning to end.